In October, Junction Five-O-Five Foundation holds its Annual Harvest Moon Celebration Dinner and Fundraiser. To get more information call 846-3670, visit the website Harvest Moon or email us at, susie@j505.org. All funds go to benefit Junction 505. Click here to download the donation letter! Junction has made it easy to donate money using PayPal. Use your Kroger Card to help Junction 505. Click here to download participation instructions! When you shop at AmazonSmile, Amazon donates 0.5% of the purchase price to Junction 505. 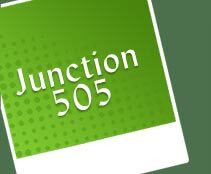 Bookmark this link AmazonSmile for Junction 505 and support us every time you shop.